One of my very favorite cuts of meat is Pork Tenderloin! What's not to love? It's tender, flavorful and fast cooking. I usually will get one regular size package and cook both loins the same way, but this week I made 2 completely different versions because I'm making extra small meals this week with only one child at home with us for the next 2 weeks. I was inspired by some new seasoning products that I found in the grocery last week. There are at least 5 new flavor combinations from this manufacturer. I bought 2 so far to see how I liked them. I'm impressed and I'll be going back for the others soon. 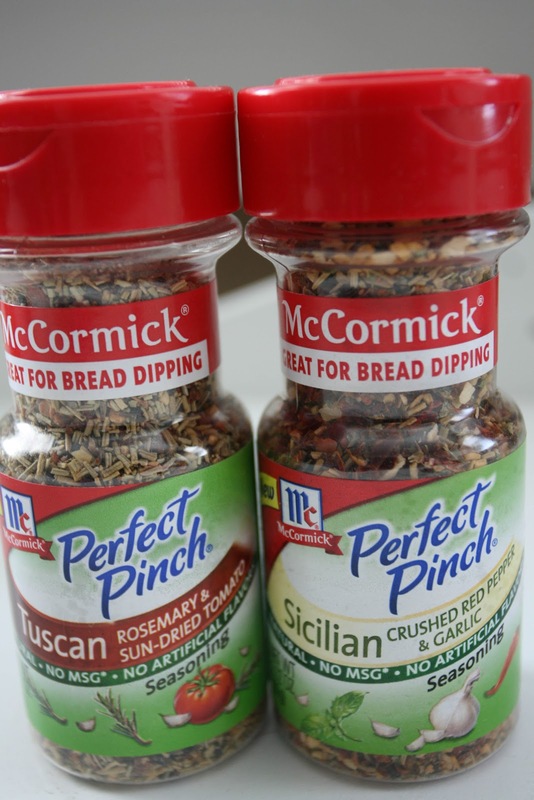 The brand is McCormick, and they are called "Perfect Pinch". On the label, it says 'Perfect for Bread Dipping', which I'm sure they are, but I'm never one to leave well enough alone so I will always try new things in my cooking. Besides the pork, I also found some beautiful yellow potatoes. They are just like red potatoes, but with a yellow skin and a more buttery flavor. I bought a bag along with some reds, and planned to make some Smashed Potatoes with these seasonings. I had seen recipes for Smashed Potatoes on Pinterest, but had not yet tried it for myself. Well, I learned a few things. One, many of the recipes I read said to boil the potatoes for 15 minutes until you can pierce them with a fork. HA!! Not. Nearly. Long. Enough. Maybe for BABY reds it would be long enough, but these were full size reds. The first night was sort of a fail. They would not smash because they were uncooked, and they were slippery and round to boot! I just proceeded to make a mess all over my counter. Once they had cooked in the oven for another 35 minutes, they were cooked and tasted good. But I knew they could be better. As well, I wanted them to be done when the pork was ready to cook. Night two...I boiled the potatoes until they were REALLY done. Here's another thing I did to make it easier to smash them: I cut them in half after they were boiled. So. Much. Better!! And then I BROILED them in the oven on high as soon as I took the pork out to let it rest. PERFECT. Absolutely divine. Not only were they a breeze to smash this time, but the texture from being finished up under the broiler was amazing. I plan to do these on a regular basis now. I don't have to take up space in the oven when I have a lot of other things in there, and the potatoes can be completely pre-cooked in advance to make meal prep easier. I have broken down all the steps in my recipe on my food blog, so you can make them now. Really. Right NOW. They are so amazingly good! You won't be disappointed. 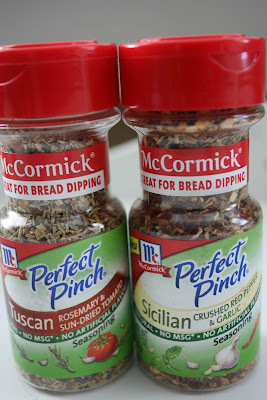 So I used the Red Pepper and Garlic "Sicilian" version for the potatoes both nights because I really liked that flavor. I then used the "Tuscan" Rosemary and Sun-dried Tomato version for this version of the dry-rubbed pork. For a another flavor variation of Pork Tenderloin that I also developed this week, please see this this recipe. I have also shared two different applications for the finished products in posts here and here.